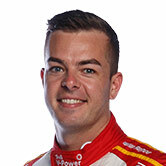 Scott McLaughlin will lead the field into Sunday’s ARMOR ALL Top 10 Shootout for the CrownBet Darwin Triple Crown. The Shell V-Power Racing driver topped a 20-minute ARMOR ALL Qualifying session at Hidden Valley, with Triple Eight pair Shane van Gisbergen and Craig Lowndes missing the top 10. Championship leader McLaughlin set the pace with a 1:05.5538s, ahead of James Courtney and top rookie Anton De Pasquale. Erebus Motorsport’s De Pasquale was the best of the drivers on the first runs, his 1:05.7801s good enough to lead Nick Percat and McLaughlin by 0.0535 seconds and 0.0683s respectively. 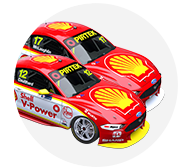 Fabian Coulthard trimmed that advantage to just 0.0133s nearing the halfway mark, as van Gisbergen slotted into seventh. Van Gisbergen was the outlier on strategy, with most again opting to capitalise on the extra early grip offered by rubber laid down in the Porsche Carrera Cup race beforehand. The 2016 champion went out as most drivers finished their first runs, but on used tyres and turning an unrepresentative time. Six of the top seven drivers with four minutes remaining decided against completing a final run; De Pasquale, Coulthard, Percat, Rick Kelly, Garth Tander and David Reynolds. Saturday victor McLaughlin was the exception in that pack, but among the group of 18 on track in the closing stages. On that second run, McLaughlin found three tenths to move clear of a congested order, finishing the session 0.2072s ahead. Courtney also improved to second place in the closing stages, leaving De Pasquale third, ahead of Percat and Kelly. “The car was quite good in the first run and then in the second one it was over-rotating a bit in the middle part of the corner,” Courtney said. “Terry [Kerr, engineer] made a little change which really lit the thing up and it was really quite good. Third for De Pasquale matches his grid position on Saturday. “It’s always hard, you come off a long race yesterday and a big sleep, and then you’ve got to do it on lap one,” the 22-year-old said. “It worked out well. We only did the one lap, saved a couple of sets of tyres and we’ll carry a new set into the Top 10. Jamie Whincup wound up seventh as the best of the Triple Eight Commodores, with van Gisbergen and Lowndes 11th and 14th, both missing the top 10 by half-a-tenth. Tander, late improver Michael Caruso and Reynolds - who actually headed back out in the final minute but didn’t set a time - grabbed the final Shootout places. “We were reasonably content with 13th in qualifying yesterday and we’ve made the car better again,” Tander said. “We’re slowly starting to unlock what we need with the car qualifying wise. The top 10 drivers were covered by 0.3380s, and the top 24 by 0.6601s. Chaz Mostert was the best of the Tickford Falcons in 13th, with Cameron Waters 16th, Mark Winterbottom a despondent 24th and Richie Stanaway 26th. “It’s pretty average. 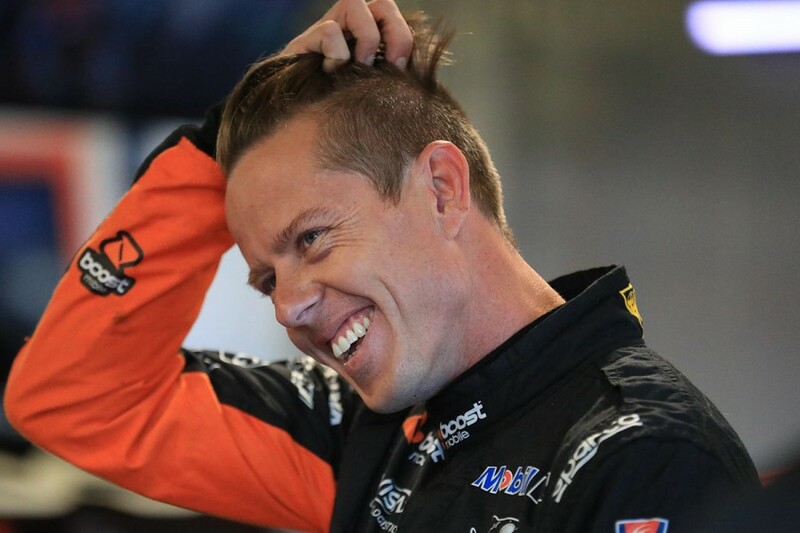 The first run the brake pedal went to the floor into 1, which isn’t very confidence inspiring,” Winterbottom said. “That was probably when the track was at its best, but we’re just slow. The ARMOR ALL Top 10 Shootout starts at 10:45am, before the 70-lap race from 1:30pm.